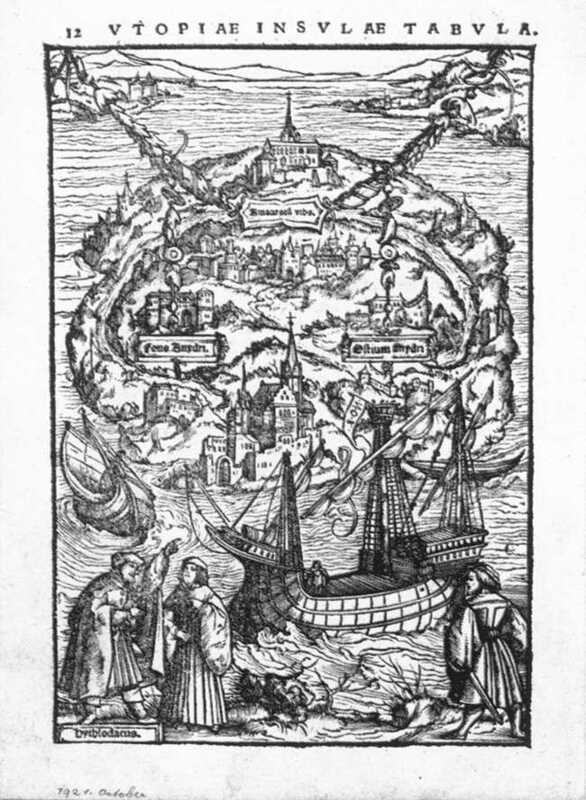 In the world-view of Europe in the early 1500's, the external world of planets and elements was believed to be a faithful mirror and representation of God's eternal Being, reflected in flesh. Just so, the interior universe of the magus was expected to match and mirror the external world in mind. The artists of the era were bringing forth a vast array of numinous illustrations of magical ideas that can help us to translate what we are looking at in the Tarot deck. The early Trumps demonstrate immediate visual and thematic relationship to other popular image-series of the times, for example the Mantegna emblem series, the Lazzarelli emblem series, the Hypneratomachia illustrations, and the multiple Dance of Death series. We can as well include the works of artists like Durer's "Melancholia" and Graf's illustrations made for the works of historical and contemporary philosophers like Petrarch, Dante, and Bovillus ; and the astrological manuals of the day. Robert O'Neill's Introduction to the Iconology of the Trumps gives us further proofs of the rich and abundant magical imagery filling the world of the Renaissance magi. 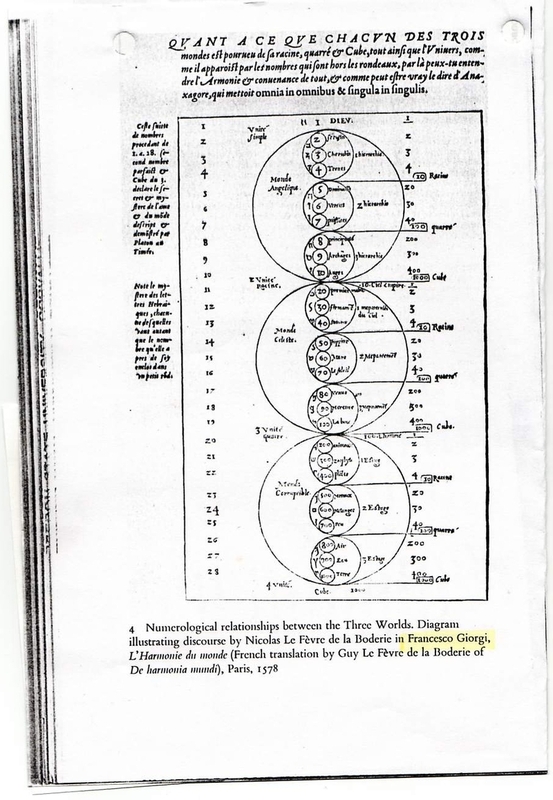 We can also see from the bodies of Astro-alpha-numeric correspondences listed by such personages as Ficino, Agrippa, Francino Gaffurio , Francesco, and Thenaud that there was a fusion emerging between the Hermetic Cosmos carried forward by the early Christians via the Alexandrian Synthesis, and the parallel cosmos projected by the Hebrew Cabalists. I have written about this fusion in the past, but now we need to take a slightly different tack on the subject. "Lullism had a vast diffusion which has only recently begun to be systematically studied. Owing to the core of Platonism, and of Scotist Neoplatonism, within it, it formed a current which, not acceptable to many in the ages dominated by scholasticism, found itself in a much more welcoming atmosphere at the Renaissance. A symptom of the popularity that it would gain in the full Renaissance is the interest accorded to it by Nicholas of Cusa. In the full Neoplatonic stream of the Renaissance, stemming from Ficino and Pico, Lullism took a place of honor. Renaissance Neoplatonists were able to recognize in it notions very congenial to them and reaching them from mediaeval sources which, unlike the humanists, they did not despise as barbarous. "But the proliferation of imagery such as we see in Camillo's [Memory] Theatre belongs into a different line of country from Lullism. It belongs to artificial memory of the rhetoric tradition, with its images; developed into corporeal similitudes in the Middle Ages; and developed in the Renaissance Hermetic atmosphere into astralized and talismanic images. It belongs, in fact, to just that side of 'artificial memory' which Lull himself excluded. Here we have a great condensation of the streams that converged to fulfill the comprehensive Renaissance magical cosmic paradigm. This hologram of the Three Worlds, which I am here calling the Psychocosm of the Magi, is the inspiration for the grand synthesis that Tarot was created to encapsulate. Meanwhile, let us take note, and not leave it as an aside, that all three original orderings of the Tarot trumps show a distinct 7x3 structure, which specialists have observed alike in all three variant sequences. Given the pervasiveness of Lullist astral magic to the times and the cultural context, it seems safe to say that Tarot should be studied as another outgrowth of the Pseudo-Lullian collective labor to bridge the images of the Memory Arts and the formulae of the Lullian combinatory arts onto a set of flash cards that everybody could use and enjoy. But just how, again, did the Renaissance magic achieve its characteristic ends? We point to the superlative will power and highly developed phantasia of the individuals who stand out in the histories, but how could even those considerable skills be operative without being embedded in a matrix that is responsive to these kinds of stimulations? "Corresponding to the tripartate division of the small world of man (microcosmos) into body, soul, and spirit was a cosmic soul which dwelled in the realm of the stars. This cosmic soul reflected the ideas of the higher, transcendental sphere of the divine intellect, and through the influence of the stars these ideas imprinted their eternal "symbols" on the lower, physical transient sphere. "Paracelsus likens the imagination to a magnet which, with its power of attraction, draws the things of the external world within man, to reshape them there. 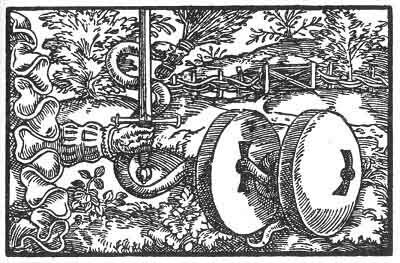 Its activity is thus captured in the image of the inner alchemist, the sculptor or the blacksmith. It is crucial to master them, for what man thinks 'is what he is, and a thing is as he thinks. If he thinks a fire, he is a fire'. (Paracelsus)." We already know that the magus will employ symbol, image, word, number, speech, writing, music, scent, ritual, color, and material objects in the process of linking up the necessary chains of correspondences to build a field that can potentize the desired magical result. The sum total of all of these ingredients, set into motion by the will of the operator, produces, in effect, a hologram of transformation which rings out in all three "worlds" -- divine, astral, and material. 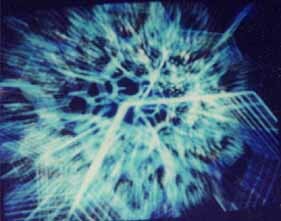 That hologram or field, upon activation, becomes an arcanum (plural arcana). This is a Latin word meaning originally 'something hidden in a box or chest', according to Nevill Drury's Dictionary of the Esoteric. 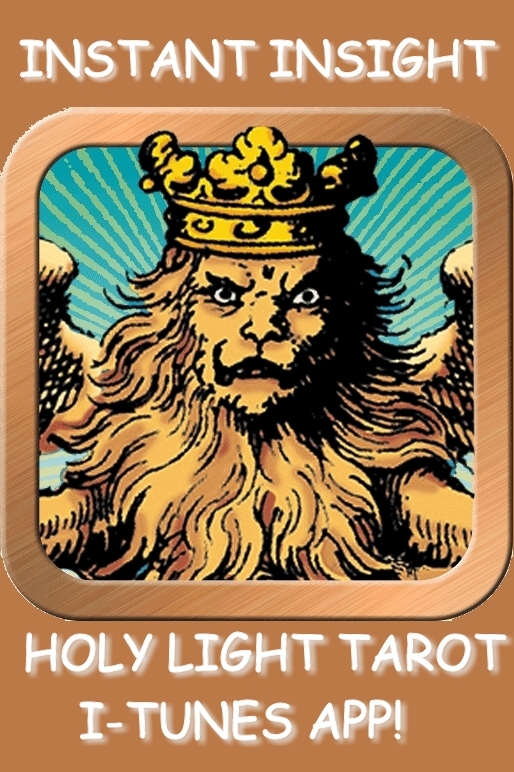 Long usage has broadened the meaning of "hidden" to include concepts secreted in a puzzling way within words, images, and symbols, a usage that only brings us closer to the Tarot trumps. 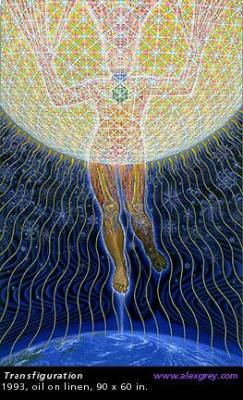 "It is the arcana which support our body... or secure the preservation of the body in health by driving out sickness... In investigating natural forces one comes to the arcana, 'and they are the mysteries from which the physician is to grow'... God has put these arcana in nature to help physicians to avert distress. However, the arcana do not display their natural powers spontaneously, but in communication through the ars spagyrica, that chemodynamic process which acts as the 'art of Vulcan,' as the 'archaeus' in the body [dividing out the good and evil from each other; distilling the cure from out of the sickness]. 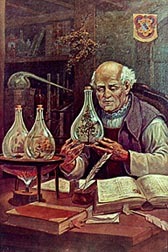 "For Paracelsus, too, the alchemical process, just as in the earlier tradition, simply means a modus praeparandi rerum naturalium, a specific process for the preparation of natural materials. Here Paracelsus already marks himself off very clearly from the contemporary manipulations of the alchemists: 'It is not the case as with those who want alchemy to produce gold, to produce silver. Here, rather, the request is: make arcana and direct these against sicknesses. One must start from that, that is the foundation.'... 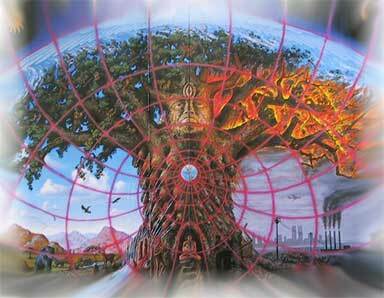 Thus the arcanum has 'the power to change, to mutate, to renew, to restore'... It is that specific power which the physician first brings into play with his art. 'The arcanum is a mighty heaven in the hand of the physician'..."
'Thus is alchemy the external stomach, which prepares for the stars what belongs to them. It is not to say, that alchemy makes gold, makes silver; here the project is: make arcana and direct them against the diseases; that is the end, that is the ground.... Thus nature and the human being are to be joined and brought together in health and in diseases.' "
There are Tarot researchers who continue to believe that this use of the concept of arcanum is unrelated to Tarot issues. However, after casting a glance at the 32 magical figures of Paracelsus, or upon examining The Magic Figures of Paracelsus by Franz Hartmann (a Kessinger reprint), one can see that the applicability is striking. This set of emblems is pictured in an art style strongly reminiscent of the Visconti-Sforza decks and the Mantegna series, containing images that all Tarot users are familiar with: a hand emerging from a frilled "cloud" holding a two-edged sword, a vista overlooking the city, a royal crown, a triple crown, a Bishop or Pope (though up to his waist in water with 13 lances pointed at him! ), the Sun shining down on a bucolic landscape, the alchemical lion, an artisan at his workbench, a crowned eagle hovering over the King (who appears to be drowning in a river! 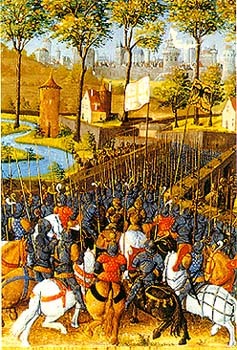 ), four swords at odds with a fifth one upright and dominating, children dancing in the sun aside a waist-high wall, and a man asleep under a tree with the Sun overhead. 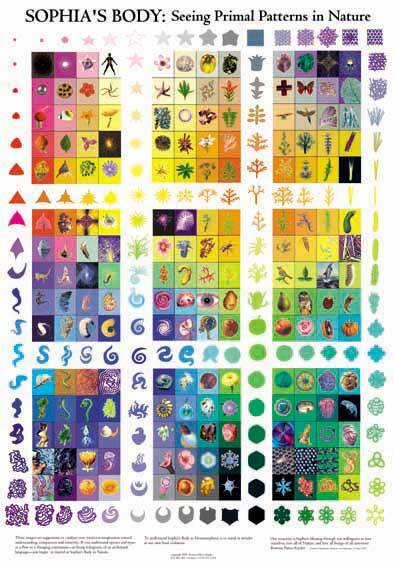 There are also a number of things in these emblems that we don't see in the Tarot, but can we really overlook these visual and symbolic links, knowing that they emerged in the same time-period and cultural climate wherein the Trumps were also developing? "But there can be no doubt that already among the immediate successors of Paracelsus this term arcanum was developed further, surpassed, and distorted. 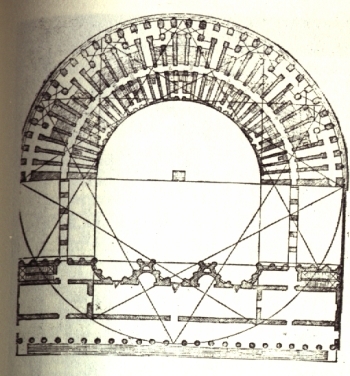 The concrete arcana turned into the mysterium magnum of the arcanum, which could be interpreted only in spiritual terms and finally became an arcanum sanctum. Paracelsus' basic concept in natural philosophy was highly stylized and became a means of metaphysical manipulation. The deutero-Paracelsian writings increasingly abandon their specific relationship to praxis and subsequently develop only purely speculative accents." I find these remarks intriguing in the extreme! We can see in the Paracelsian emblems an imaginal landscape that closely matches with the art and spirit informing both the Trumps and the other emblem-sets we have inherited from the times. We also know that the alchemical emblems of the 1600's often look like wildly proliferated Tarot images and are still dealing with very similar topics. Historians are now becoming more certain that both the Rosicrucian "enlightenment" and the Masonic Lodge movement carried the Paracelsian world-view (and its proliferations) forward right to the brink of the 20th century, to which we find the primary proponents of esoteric Tarot belonging. How can we continue to keep our minds so compartmentalized as to not see the relationship? 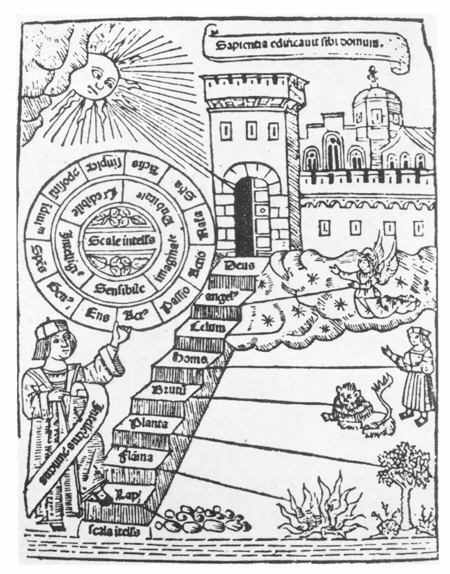 The original concept of arcana, and the associations it conjures up, can be seen to curve away from its earlier grounding in the concept of "remedy" or "formula for healing", but as that arc plays out, the concept gets closer and closer to the modern concept of the Arcana of the Tarot Trumps. The simple descriptions in Horapollo could be expanded into emblems, that is, image/text complexes structured like hieroglyphs. The emblems were both allegorical and symbolic -- e.g., Hercules represented 'strength.' Eros 'desire,' etc. -- and the scenes in which they appeared could be 'translated' back into these words. But, Hercules was also Hercules, with all the mytho-magical symbolism associated with his tradition -- so, each pictorial element in the emblem also worked on a non-verbal level of emotions, associations, and even dreams or the unconscious. 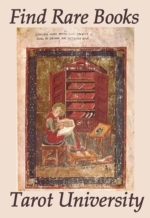 Meanwhile, the image was usually accompanied by a text... that offered a 'translation,' or at least an interpretation, of the image.... Books like the Hypnerotomachia are not only symbolic as well as allegorical, they are also initiatic texts. Concentration upon the images, meditation on the text and its relation to the images, and the "inner work" on the self in light of the revelations and inspirations thus obtained, all allow the book [or the Tarot], in a sense, to replace the 'laboratory work' of alchemy -- equating it, as it were -- with an inner transformative process of directed imagination. Because the emblem is not merely discursive or lineal or completely accessible to reason, because the emblem is occulted, obscured, it needs to be penetrated on all cognitive levels simultaneously -- inclusive of meta-rational levels of consciousness that lie beyond cognition in any ordinary sense. Precisely for these reasons, the emblem book becomes a process -- or even a performance -- in which the reader can achieve self-realization through the initiatory 'magic' of the text." "Hieroglyphics, symbols endowed with the dual preferential claim of having aroused the interest of Platonic diviners and also of being fashionable with Ficino's contemporaries, assume particular importance in his concepts.... Ficino, as Eugenio Garin tells us, conceived of philosophy as an initiation into mysteries, consisting of a gradual rise in intellectual loftiness receiving in response from the intelligential world a phantasmic revelation in the form of figurae. These figurae, characters of an inner phantasmagoria staged by the soul itself, represent the modality by means of which the vision of the soul opens before the oculus spiritalis, the organ that has taught the inner consciousness about existence, through diligent meditation. This experience, so well described by P. O Kristeller, has to do with the formation of an 'inner awareness,' interpretable as a phantasmic process, a visio spiritalis in the Augustinian sense. It is, in fact, a need to discover a means of communication between reason and intellect (the soul) and this means is provided by the spiritual eye, the mysterious organ that permits us to look upward toward the higher ontological levels. Now we have come full-circle in this tour of the Psychocosm of the magi. We will have more to say about the operative techniques the Renaissance Christian Shaman uses to empower his or her own consciousness for the requisite ceremonies, but at least we have a better idea now about how the mage will arrange her or his own attitudes in preparation for any given task. I hope to have conveyed in many ways the sense of sacred duty that lay upon the shoulders of everybody who pursued this path. In truth, this ostensibly post-Catholic spiritual movement provided a kind of shadow Church that deified Love (or Eros) via the post-Lullian doctrine of astral correspondences and elemental sympathies. Within this operative model the leading magi of the times found both mystical inspiration and a healing art for their times. Where Lull is seen to have opened a door for the later Renaissance magi, modern scholars increasingly name Paracelsus as the figurehead, and his accomplishments the apotheosis of this alternate spirituality. This is as much due to his announcement of a fourth Deity into the Trinity, (the Sophia of Nature, which he very forthrightly called 'the Goddess'), as for his challenge to the clergy's assumed (but largely ineffective) powers of healing. We should not be surprised to see how fully Christian theology and philosophy are mingled into the contemporary manuals explicating the hows and whys of magical practice. The magi were spiritually inspired at many levels to craft interior lives capable of reflecting the paradise archetypes, the arcana, into this material world of time/space, for the benefit of all humanity. It is not far amiss to say that the Renaissance magi served as the "hidden clergy" of a Sophianic revival of Classical spirituality. These magi, Cabbalists, astrologers and alchemists, under the aegis of Lullism, viewed themselves as hierophants and healers for the fallen and degraded Creation that they found themselves occupying. To a large degree the magi of the era were partakers in the optimist Gnosis of this revival, supporting a philosophy of Eros and offering a defense of pleasure in an increasingly tense, polarized, and dangerous period. While undertaking the work of linking Heaven to Earth for purposes of cure and inspiration, the Renaissance magus also served as spouse and imaginal inseminator of Great Nature, both container for and subject of the Alchemical Marriage. If the work went well and the proper correspondences were activated, the magus participated in the very essences being contacted, right up to and including "rebirth" as and within the androgynous Christ/Sophia, exemplar of the Astral world linking the Divine and the Earthly realms. In this way the magus restores the original Edenic Nature of Earth while simultaneously awakening the seed of Adam Kadmon within her/his own body. "...the Renaissance Hermeticists' positive evaluation of sensuality and the material world is clearly not derived only from classical sources, but rather it represents their own breakthrough into a world of 'magical materialism' -- a philosophy with political implications. The defense of the body against dualism and moralism constitutes the most radical plank in the platform of Renaissance neopaganism...they were pantheistic monists in revolt against the church and its 'slander of the body', and in extreme cases, this position led to a sort of crypto-apostasy, replete with magic and neopagan ritual. I leave it to my readers to follow the trail Wilson indicates and find his/her own place in the pantheon of Gnostic Magi who have emerged since the 1500's. Those who see a path of self-healing and self-initiation encoded into the Tarot arcana will already have their own basis for solidarity with the Renaissance Magi and their sacred astral imagery. As Couliano points out above, magi of every generation 'play' with the arcana, and the arcana 'play' with us, in a timeless ongoing intergenerational and intercultural evolutionary dialogue between the individual ego and the collective unconscious. This experiment has not yet ended, the goal of this 'play' is still running ahead of us, daring us to keep up with it and keep internalizing those links, those harmonies and concordances, which can mend the rift between the worlds and restore Eden within our own hearts and minds. A magi's work is never done!